Capital One continues its fintech acquisition spree with the purchase of price tracking service Paribus. 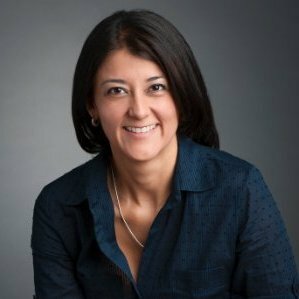 Emilia Lopez, managing vice-president, US Card at Capital One, says its “focus right now is on merging Paribus into the broader Capital One family”. Paribus will also be added into its broader set of technology and tools, such as CreditWise and Second Look. US-based Paribus was launched 16 months ago and says more than 700,000 people have joined its service. The app automatically gets money back for customers when prices drop. Financial details of the purchase have not been disclosed, but in a wishy-washy blog post Paribus says it is “joining forces” with Capital One. The rambling and jargon-drenched blog post by Paribus co-founders Eric Glyman and Karim Atiyeh doesn’t reveal much. It just says stuff like “bonding” and “energised”. But in terms of how the acquisition impacts its team and investors, Glyman and Atiyeh say “everyone will be joining us on the next part of our journey”. The firm has 12 employees and Glyman and Atiyeh will join Capital One as senior directors in US Card. Away from the vague blog post, Paribus works by integrating with an email provider to scan an inbox for receipts of online purchases. The service works with a number of online retailers, including Amazon and Walmart. Since its launch, the start-up has raised $2.22 million in outside funding. This latest acquisition follows on from several others by Capital One. It has also bought start-ups Adaptive Path, BankOns, Bundle; and last year, Level Money and Monsoon.